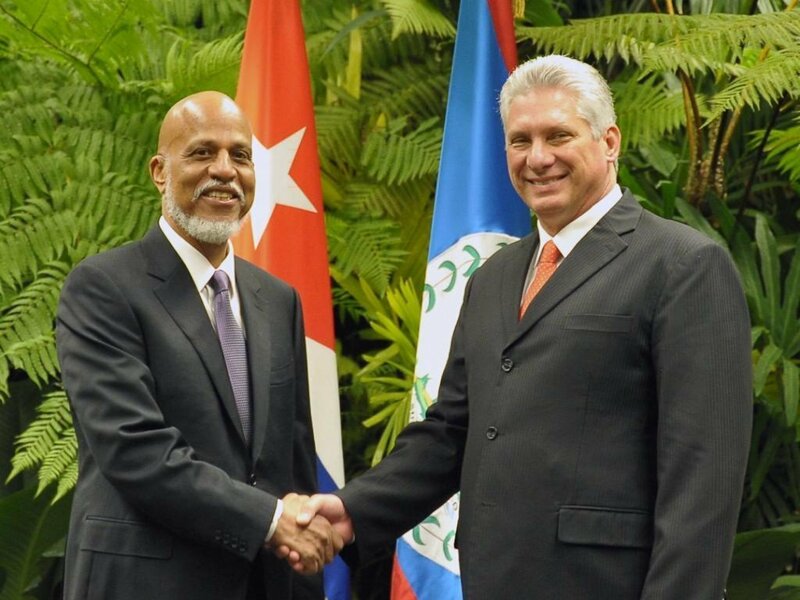 Press Release - Havana, Cuba - January 16, 2019 - Prime Minister of Belize Rt. Hon. 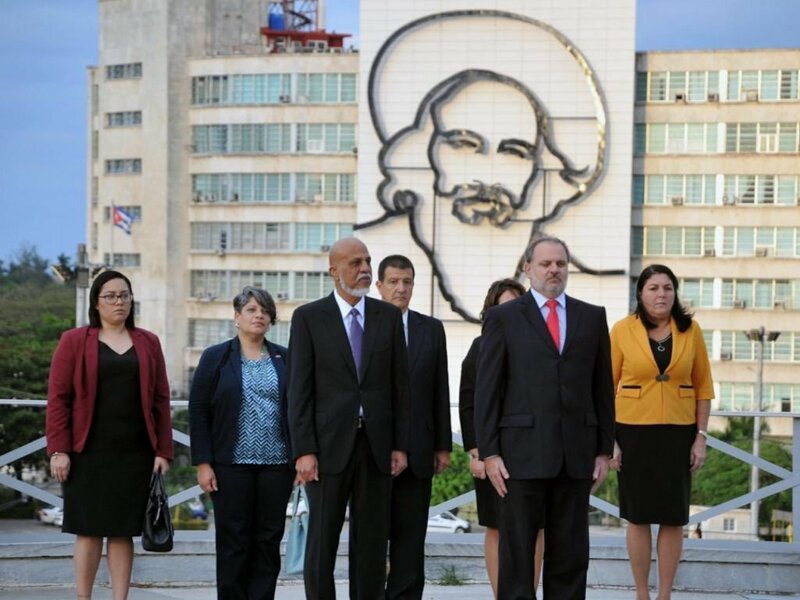 Dean Barrow is on an official visit to Cuba on the invitation of the President of the Republic of Cuba Miguel Díaz-Canel Bermúdez. 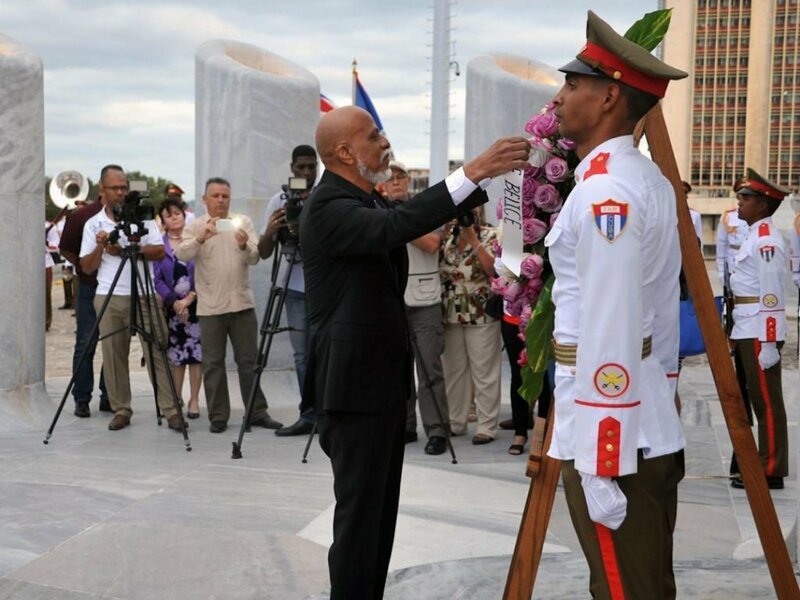 On January 15th, Prime Minister Barrow joined President Díaz-Canel and other officials to pay tribute to José Martí, a national hero of Cuba. 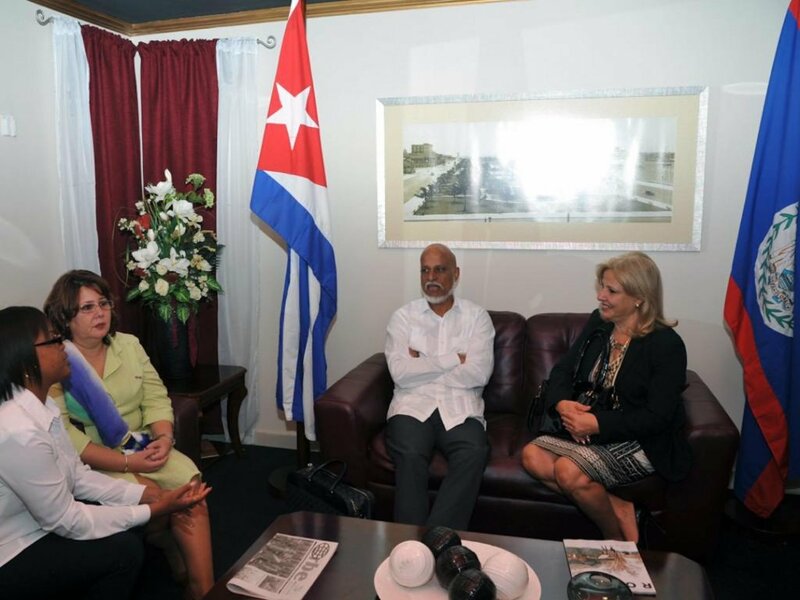 From there, the delegations from both Cuba and Belize met for an official meeting. During the meeting, Prime Minister Barrow told those present that Belize values the relationship shared with Cuba and expressed his admiration for the strength of the Cuban people and all their achievements since the Cuban Revolution. He also congratulated the Government and people on the referendum regarding their constitution. The Prime Minister thanked the Cuban Government for its support to Belize since gaining independence in 1981. The delegations discussed issues of regional integration and areas of bilateral cooperation including strengthening tourism between the two countries, expanding agricultural cooperation, and continuing support in the areas of sports, education (scholarships), and health (Cuban medical brigade). President Díaz-Canel reiterated his country’s continued support to Belize and mentioned that he would look into expanding these programs. Prime Minister Barrow assured the delegation that Belize will also continue its support in education through the Regional Language Center in Belmopan. There are currently eight Cuban students studying in Belmopan. The Cuban delegation included President Diaz-Canel Bermúdez, Foreign Minister Mr. Bruno Rodriguez Parrilla, Minister of Foreign Trade and Investment Mr. Rodrigo Malmierca Díaz, Director General of Latin America and the Caribbean, Mr. Eugenio Martinez Enriquez, and the Ambassador of Cuba to Belize H.E. Lissette Perez. Belize’s delegation included Prime Minister Barrow and the Ambassador of Belize to Cuba H.E. Lou-Anne Burns Martinez.